Best practices for taking control. 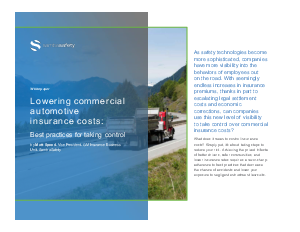 Advances in safety technology, like comprehensive driver monitoring solutions, are enabling companies not only to stay safer, but to better navigate the tricky territory of insurance. By following a few new best practices, you can manage insurance costs and protect your company’s bottom line before your drivers even hit the road.